Are You a Talented Designer? Sourcehunt #1 Needs You! In October 2015, SitePoint's very own Bruno Skvorc launched Sourcehunt PHP, a valuable initiative aiming to help (mostly niche) open source projects grow by attracting more contributors. In true open source fashion, it greatly reflects our love for open source here at SitePoint. With the PHP channel being the first channel to get the Sourcehunt treatment, the Design channel was eager to catch up too. While you may not often hear "Design" and "Open Source" in the same sentence, I have seen too many great open source projects fail due to a lack of good design. Often it's very simple fixes to UX, UI or even branding that make the difference. And that's not to mention the simple joy of just making cool stuff – a concept I probably don't need to convince you of, since you are likely already a designer and are reading this post. For Sourcehunt Design, the Open Source Design group has been a great help with promoting open design principles and open source projects in need of a sprinkling of good design. Thanks to them, I was able to compile this small collection of projects to contribute to, with more to come in the coming months. We will be going through some open source projects which are in need of a helping design hand. However contributing as a designer is sometimes not as straightforward as with code, so I will try to explain how you can contribute on a case by case basis. In case GitHub scares you a little (it's ok, we've all been there), relax! We will be solely focusing on GitHub Issues, which is the ticketing system GitHub offers. Check out the GitHub guides in case you are stuck. The project is currently looking for a UX/UI Designer to improve upon its graphical interface and help with the general look and feel of the program. It's a pretty straightforward task, so check out the listing on Open Source Design and start an issue in the GitHub repo. OpenFarm is a free and open database for farming and gardening knowledge. It aims to provide a platform for expert and beginner farmers and gardeners to share their knowledge in the form of Growing Guides that describe how to grow a crop based on specific environmental conditions and growing practices. Compatibility scoring between Users and Guides allows high quality and relevant information to be discovered quickly. This is not one of the run-of-the-mill open source projects you stumble upon, which makes it all the more interesting. It's also worth noting that all data stored in OpenFarm's database is Public Domain, which is a great contribution to the commons. Currently, the guys at OpenFarm are looking for an illustrator to create their personalized mascot. Head over to the issue on GitHub if you want to give it a try. If icon design is more 'your thing', OpenFarm also need some help with the development of their drag and drop farm designer/manager tool – specifically a selection of plant icons. You can find the related issue on GitHub in case you can take it on. These are only 2 specific jobs currently most prioritized, but feel free to browse around and contribute to the project with other changes and additions. The OpenFarmers will surely appreciate it! and a few other bonus features. Conversations is actually one of the most downloaded Thunderbird add-ons with more than 60,000 daily users. As the major open source client out there, Thunderbird enjoys great popularity also. This is a project close to my own heart and I have personally created the logo for the add-on. I'm also currently working on the redesign for the UI. The project is currently looking for designers to help complete the redesign. Check out the GitHub issue if you are interested. We might end up working together on this! 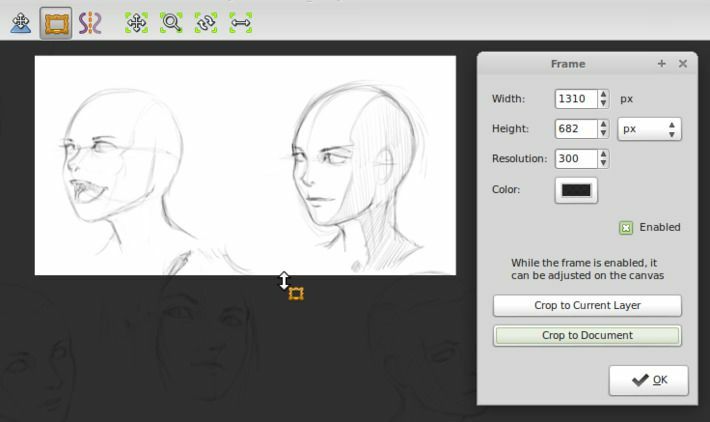 MyPaint is a nimble, distraction-free, and easy tool for digital painters. It supports graphics tablets made by Wacom and many similar devices. 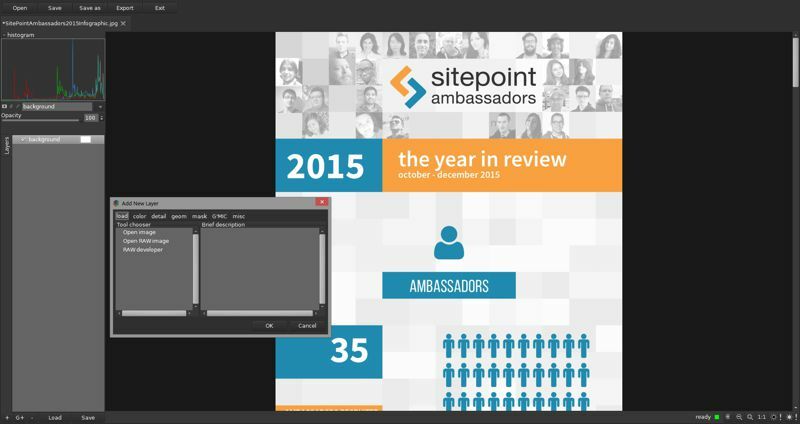 MyPaint's brush engine is versatile and configurable, and it provides useful productive tools. It also offers a selection of brushes which can accurately emulate traditional media such as charcoal, pencils, ink, or paint. The project is already pretty mature at this stage, which makes sense after being for many years in development. The MyPaint team encourages contributors to submit their artwork and/or brushes, but also solicits contributions to the software UI and UX. One example of UX help you might be able to tackle is this (quite old) issue on GitHub. Feel free to open a new issue to get in touch with the developers and start contributing! This is another project close to my own heart. GalliumOS is a Linux distribution which has been carefully optimized for performance and compatibility on Chromebooks and Chromeboxes. It aims to outperform ChromeOS on the same hardware while delivering a full Linux environment. GalliumOS is based on Xubuntu (which is based on Ubuntu, which is based on Debian) and offers many more optimizations and features for Chrome devices than other Linux distros. It is lightweight and works smoothly out of the box with all functions a Linux enthusiast might require. By integrating with ChromeOS mouse driver, Gallium offers the kind of buttery smooth touchpad experience that ChromeOS is famous for. Furthermore, GalliumOS includes bug fixes for Chrome devices not available in any other Linux distros yet. I am personally involved as a contributor in GalliumOS, having created its brand identity, the early website design, as well as some wallpapers used in the actual OS. The project is currently in need of design contributions for its website, wiki and UI & UX of the distro. You would likely be working with me on design aspects of GalliumOS, so if you are eager to join, feel free to file an issue on GitHub! I hope some of the projects above intrigued you! Before diving in, be sure to have a read through the contribution guidelines of each projects. However, most of the time simply opening an issue and offering your help will do the trick. They'll be glad for the helping hand and you should get a reply in no time. Let us know of your contributions in the comments or use the #sourcehunt #design hashtags and we might feature you in the next edition of Sourcehunt! Elio is a open source designer and founder of Ura Design. He coordinates community initiatives at SitePoint as well. Further, as a board member at Open Labs Hackerspace, he promotes free software and open source locally and regionally. Elio founded the Open Design team at Mozilla and is a Creative Lead at Glucosio and Visual Designer at The Tor Project. He co-organizes OSCAL and gives talks as a Mozilla Tech Speaker at various conferences. When he doesnâ€™t write for SitePoint, he scribbles his musings on his personal blog.